LOW BACK PAIN | GEORGE D. GOUDELIS MD. Ph.D.
Back pain is a symptom and may be derived from various disease entities. 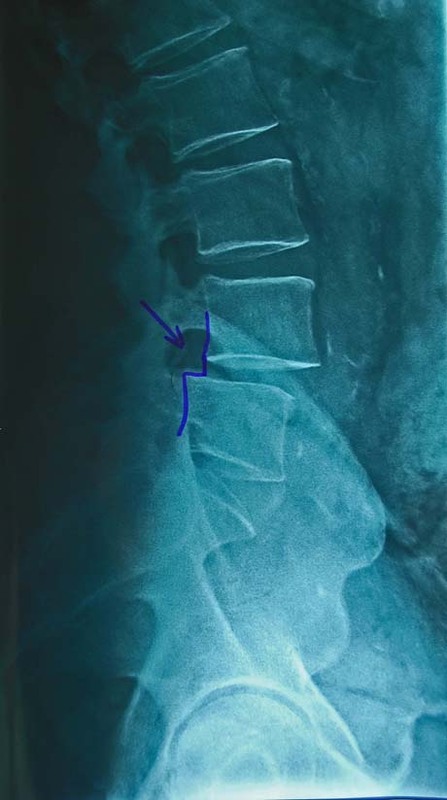 It indicates no disease itself and it is essential to identify the cause of the cause (intervertebral disc herniation, muscle spasm of the paraspinal muscles, etc.). The extension is called sciatica pain in the lower end (path of the sciatic nerve). The decline in physical activity observed in recent years in modern society has brought problems in the spine to take epidemic proportions. Noteworthy is the fact that the ages of the patients complain of pain in the low back or neck, constantly diminish the fact that a major concern for specialists. The chance of a man complained about pain at the waist lifetime reaches 50-70%. On the other hand, the increased participation of children in various sports, as well as excessive or incorrect stress on the spine in elite level justifies the increased morbidity of children regarding the spine and beyond. Children should be given special attention when they report pain in the spine because it may indicate a disease which requires specific and urgent response. Parents should not underestimate the complaints of children who have to do with their health. Certainly traumatic causes are the most common causes. 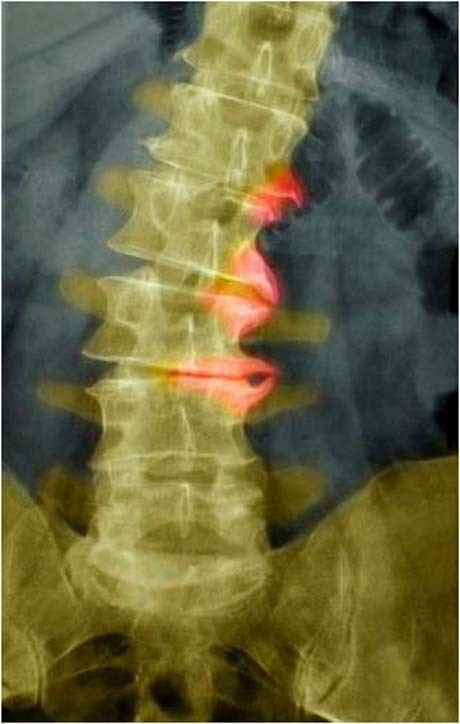 The spondylolisthesis is a disease entity in which vertebra slipping relative to the underlying vertebra. Usually happens in the loins. 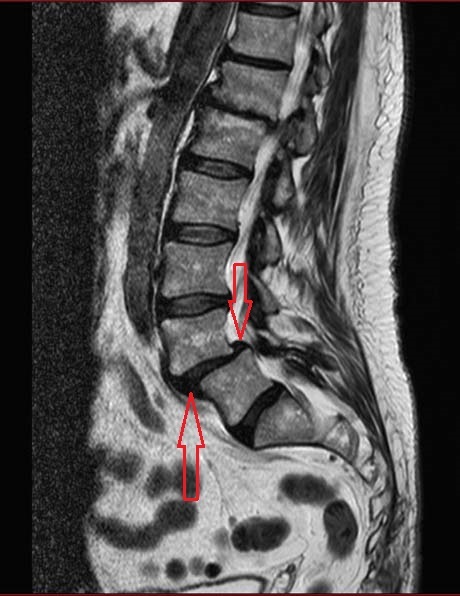 The main cause of spondylolisthesis is an injury of the upstream vertebrae where a fracture is created in the posterior elements, thus it can not longer be held in its normal position and to be displaced forward or rearward more rarely. 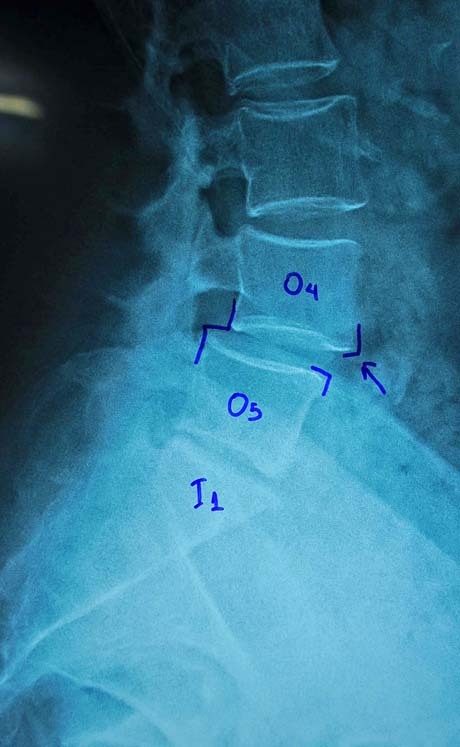 The reason that can cause the fracture vertebra is usually exercises extensive type straining repeatedly the posterior elements of the vertebrae (gymnastics, swimming) and may cause the child intense symptoms such as back pain and buttocks. Discitis is an infection of the intervertebral disc which is usually due to Staphylococcus aureus. 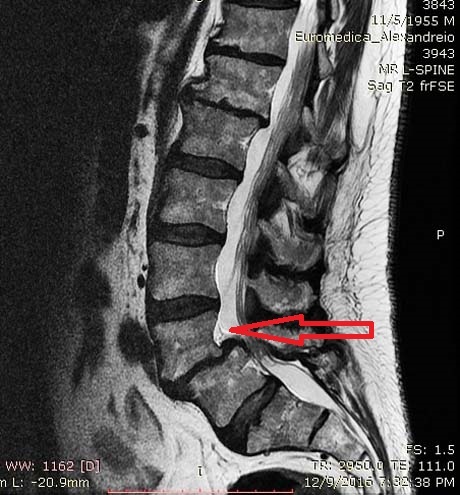 The infection may extend to the adjacent vertebrae and cause osteomyelitis. Discitis typically affects children from 1-5 years. The child may complain of pain in the middle or on the belly, refusing to walk or limp and display fever. Instead scoliosis (idiopathic type) in children and adolescents does not cause pain in the back and usually found by the parents or the school trainer who discover the asymmetry in the child back. The emergence of pain in the back in combination with deformation of the spine (scoliosis, kyphosis) a combination that requires immediate investigation sooner detected the problem of the spine, the greater the possibility of treatment of the Orthopaedic. 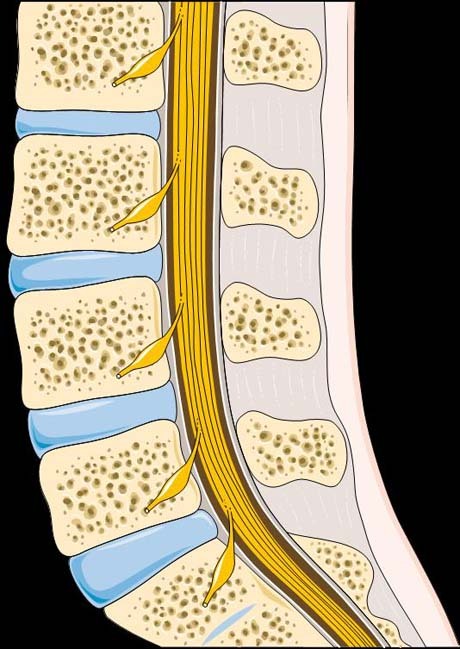 In adults the most common disease that causes pain in the loins and sometimes the neck, is a herniated intervertebral disc. As predisposing factors mentioned the decline in physical activity or which result in missing training the muscles surrounding and simultaneously protect the spine, excess body weight, heavy manually occupations and office occupations requiring many hours of fixation in the chair. The herniated intervertebral disc is typically created by withdrawals weight incorrectly and from small injuries caused by poor posture on a chronic basis. The patient usually sees the Orthopaedic and reports pain in loins reflecting the buttock or the lower end or as regards the neck indicate pain in the shoulder or upper end. The patient may also indicate disturbances in sensation, loss of strength and numbness in the respective regions. Proper posture during sitting position -left-, is one of the most important factors in maintaining health in the loins. 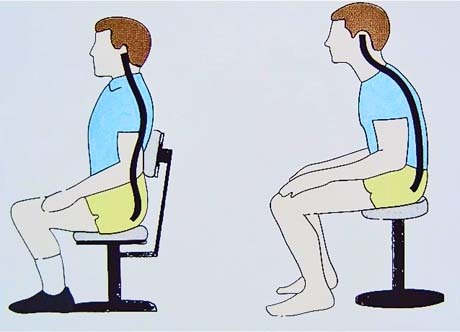 right shows the wrong way seat which can be a cause of serious problems in the lumbar region. During the passage of the years of adulthood osteoporosis and spinal stenosis added to common causes that can cause pain in humans. Osteoporosis is a metabolic disease that affects not only the spine but the entire skeleton. The reduction of hormones in women entering menopause, the decrease of reception and absorption of nutrients such as calcium, magnesium from food and the limitation of exposure of the body to sunlight, which is the main body of the enrichment factor with vitamin D in old age, are the main factors of developing a disease that affects not only women but also men. 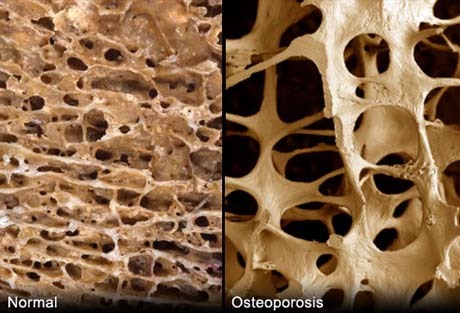 The results of osteoporosis is that bones lose their normal densities are consistently less frequent fractures created in the vertebral bodies that cause loss of height thereof and intense pain. 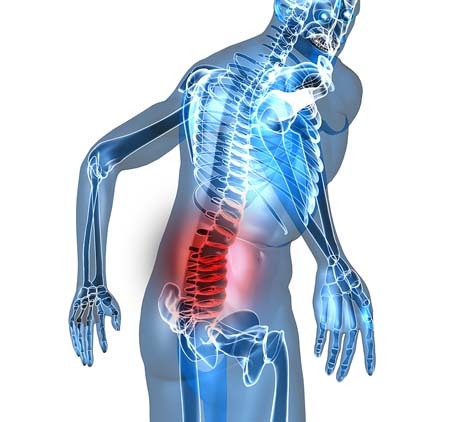 Pain in the lower back can be the first symptom of osteoporosis. Evolutionary deformation process spine due to osteoporosis in the end time. The loss of a woman's height is apparent. 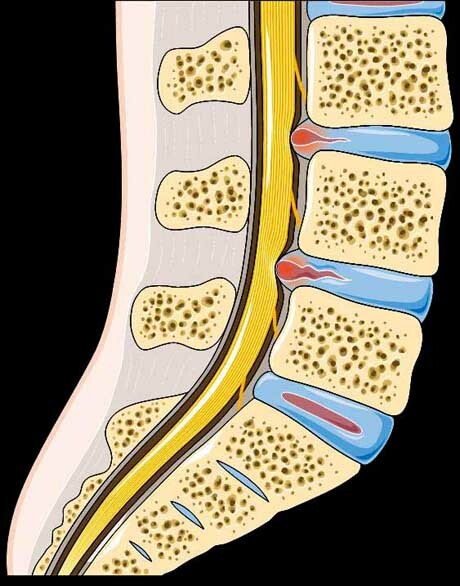 Finally, spinal stenosis may be the cause of pain or even neurological disorders mainly in older people. 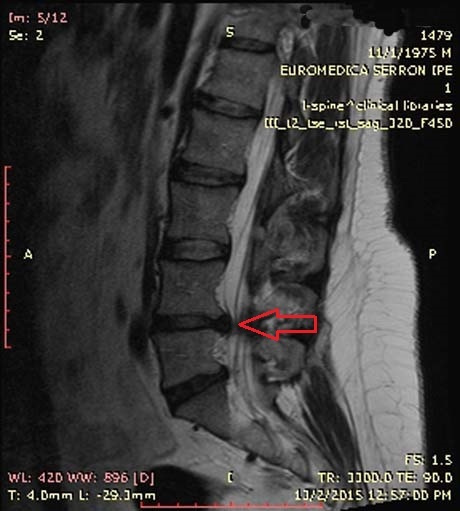 The clinical entity is due to degenerative changes of the intervertebral disc and the vertebral joints which cause compression of nerves and spinal cord travels throughout the spine. Patients report pain in one or both lower extremities aggravated by walking and improves with rest. Heavy spondylitis. The osteophytes deleted features lips vertebrae. Wherever localized pain or numbness the patient should undergo a thorough clinical examination of the Orthopaedic, who will design the diagnostic and treatment plan. 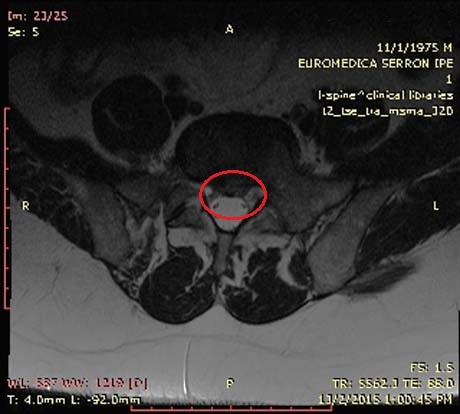 The radiological examinations such as radiography or more specialized, CT and MRI as well as a bone scan, are now reliable imaging methods that help in the diagnostic doctor reasoning. Particular attention should be given to children who often conceal a health problem for fear. Regular physical exercise under the guidance of qualified trainers, keeping the weight low, learning posture during everyday work and household engagement and the use anatomic mattress to be replaced every five years and a pillow to sleep, are components of success for fewer problems in the spine. For children regular screening of the musculoskeletal system of the Orthopaedic, the involvement of the sport, and the proper and balanced diet enriched with calcium and vitamin D, which of course should be continued for life, are considered essential for building a healthy skeleton which will be ready for copes with the demands of life.